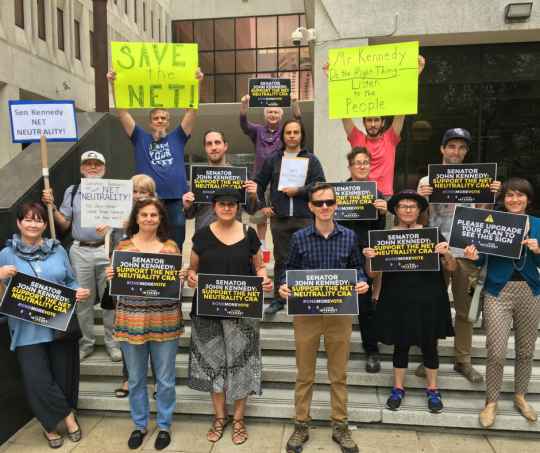 Following a successful day of action kicking off a sustained campaign to block the FCC’s unpopular repeal of net neutrality, Internet activists announced today that more than 2.3 million people have used BattleForTheNet.com and other tools to contact their lawmakers in support of using the Congressional Review Act (CRA) to restore basic open Internet protections. Tuesday, as the CRA resolutions were introduced in the Senate and House, more than 1,700 websites, including popular companies like Reddit, Tumblr, Sonos, Etsy, Kickstarter, Private Internet Access, and Medium, helped sound the alarm online, while Internet users gathered in Washington, DC and outside of Senate offices in Alaska, Ohio, Florida, Louisiana, Utah, and Kansas. Dozens of small businesses met with key Republican lawmakers to express their support for the CRA. 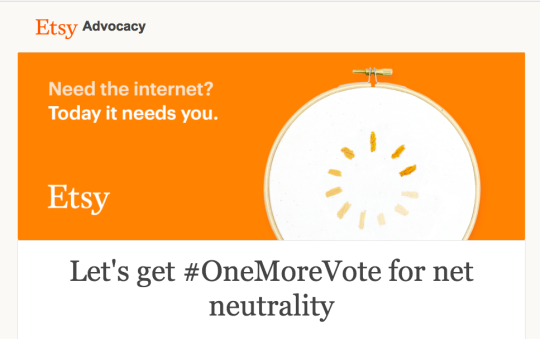 More than 2.3 million actions asking lawmakers to support the net neutrality CRA. 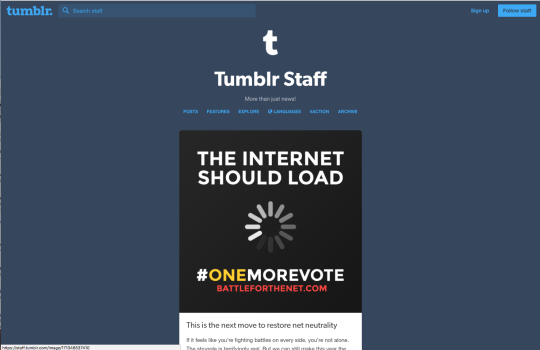 Major websites including Reddit, Kickstarter, Medium, GitHub, Sonos and Pornhub, and over 1,700 others, displayed prominent site-wide alerts to their users. 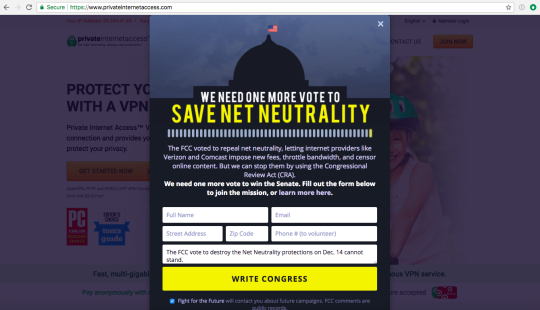 Hundreds of small and medium sized businesses signed an open letter supporting the CRA at BusinessesForNetNeutrality.com. 54 subreddits participated by adding prominent announcements and collectively represent over 58,913,281 subscribers. These numbers represent the work of a broad coalition of public interest groups, startups, and popular websites. The CRA resolutions are the most likely path to restoring net neutrality protections while Congress deliberates. They require a simple majority in the Senate and House, as opposed to 60 votes needed in the Senate for traditional legislation. 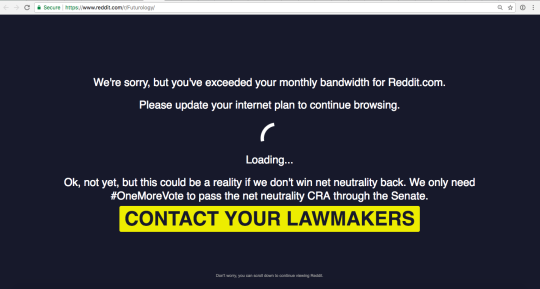 Internet activists plan to wage an all out war to pass the CRA in the House, where they will need to secure votes from more than 20 Republicans to hit the 218 needed to force a floor vote. While pundits have repeatedly claimed that the CRA would “definitely” face a White House veto, Republican FCC Commissioner O’Rielly told Politico that he’s unsure that would happen. 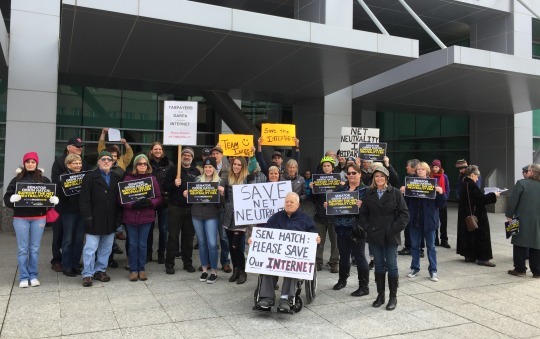 President Trump is anything but predictable, and polling shows that 75% of his base opposed the FCC’s repeal of basic online free speech protections.